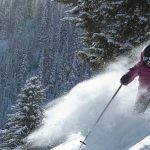 You may already know that a SkiBig3 lift ticket provides access to 8,000 acres of the Rockies’ best ski and snowboard terrain. But your lift ticket is also an express pass to the uninterrupted mountain vistas of Banff National Park. This spring season, make the most of bluebird days and extended operating hours to get your fill of turns with a view. 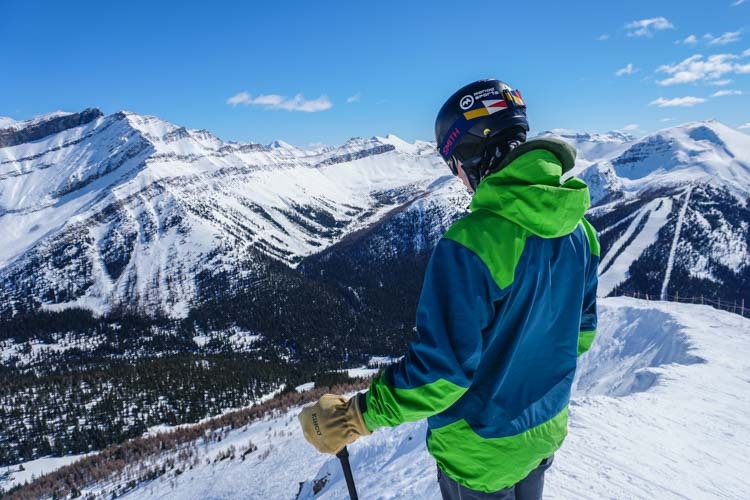 Follow these tracks to stellar views at Banff Sunshine, Lake Louise Ski Resort and Mt Norquay. The ultimate cruiser run wraps around the face of Goat’s Eye Mountain. From the top of the Goat’s Eye lift, there’s a wide-open panorama across the valley to Mount Bourgeau. This well-groomed run is true to its name, offering smooth turns with from tip to tail-end. As you traverse down and across the mountain, peek up at the famed Delirium Dive freeride zone. SkiBig3 Ambassador Renee McCurdy skies Bye Bye Bowl at Banff Sunshine Village. Photo by Travis Rousseau. This run sets out from the aptly-named Top of the World Express. 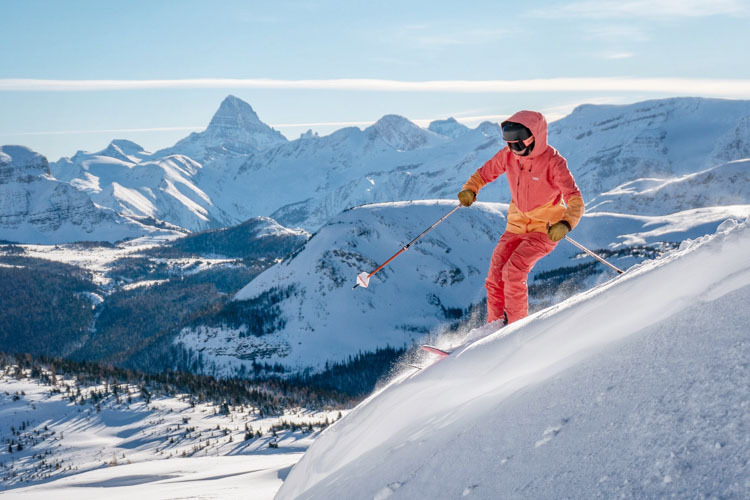 Make your way all the way up the front side of Mount Whitehorn and step out of your skis to make a slow spin across resort’s renowned back bowls. 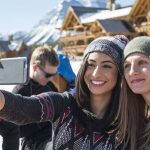 As you cruise back down the front side on Sunset Terrace, you’ll be treated to views right across the valley to frozen Lake Louise and glacier-capped Mount Temple towering above it. If you’re looking for bonafide 360-degree views, Eagle Ridge is the place to be. From the top of the Paradise lift, hang a left and hike along the wide ridge that’s essentially the elevated backbone of the ski resort. The extra steps are well worth the vistas in every direction that include Lipalian Mountain, Deception Pass and Richardson’s Ridge. 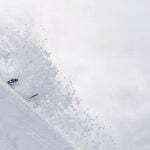 Skier Louis-Panning Osendarp at the top of Eagle Ridge, Lake Louise Ski Resort. Photo by Daniel Thomson. 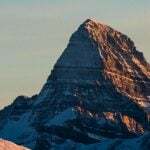 Follow in the footsteps of Banff mountain guide and ski legend, Bruno Engler. 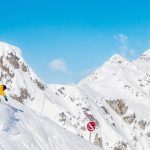 A favourite amongst locals, this run represents the essence of Bruno’s boundless passion for the mountains. 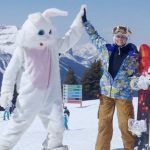 Ski the gulley in Bruno’s honour and take extra inspiration from Cascade Mountain that rises above, another icon of Banff. Ride the North American chair over the moguls of Norquay’s steepest terrain to the top of the lift-accessed area. You’ll find the Cliffhouse Bistro here, which is also open to those travelling without planks and boards strapped to their feet and offers treats for the tastebuds that match the visual feast. Ski over to Boundary Bowl and soak up the afternoon sunlight as you look out over the community of Banff, nestled in the heart of the Bow Valley. There’s still plenty of winter left to get these views on your ‘Gram – up until the third week of May! 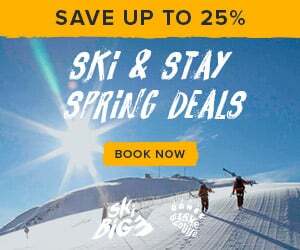 Use your Ikon or Mountain Collective pass to extend your ski season with a Spring ski vacation to SkiBig3. Talk to our in-destination Reservations Team today to plan a personalized trip.